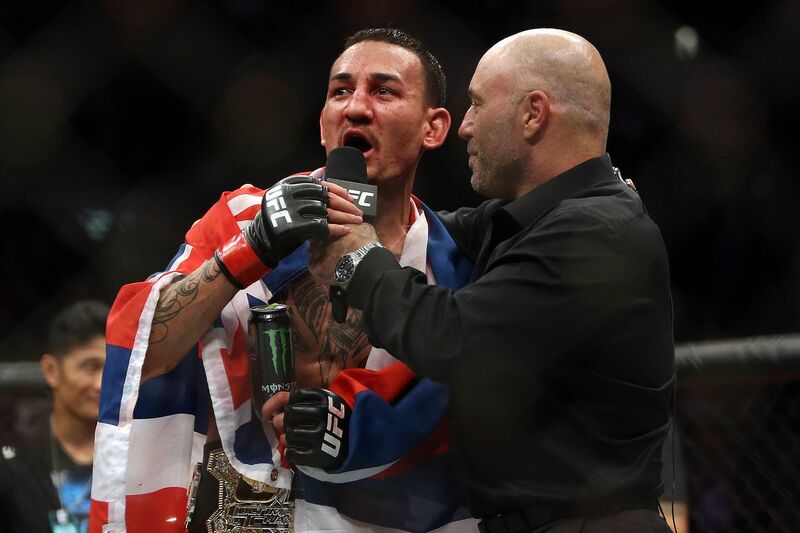 If Max Holloway has to beat Khabib Nurmagomedov to become the greatest pound-for-pound fighter in the world, then so be it. Max Holloway has his hands full with Dustin Poirier this Saturday at UFC 236, but fans can’t help but wonder how ‘Blessed’ would fare against undefeated Dagestani Khabib Nurmagomedov should he go on to win the interim lightweight title in tomorrow night’s main event. Nurmagomedov is considered the most dominant fighter in the lightweight division and one of the most dominant fighters of all time. The reigning 155-pound champion is undefeated at 27-0 and has steamrolled almost all his competition. After his latest title defense against Conor McGregor at UFC 229, where Khabib submitted McGregor with a neck crank in the fourth round, ‘The Eagle’ surged into the top-three pound-for-pound rankings and could very well go on to become the P4P No. 1 with a few more victories under his belt. Holloway, however, believes the top spot belongs to him. Speaking to MMA Junkie ahead of his lightweight title bout with Poirier, the reigning featherweight champ said he knows he has to defeat Khabib if he is ever going to claim his spot as the best pound-for-pound fighter in the world. If Holloway beats ‘The Diamond’ tomorrow evening, it’s expected that the Hawaiian will go on to face Nurmagomedov in a lightweight title unification bout. UFC 236: Poirier vs. Holloway takes place this Saturday, April 13 at the State Farm Arena in Atlanta, Georgia.